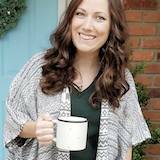 I attend the North American International Auto Show today with a group of bloggers and influencers on behalf of She Buys Cars. We were sponsored by NAIAS with special thanks to Hyundai. 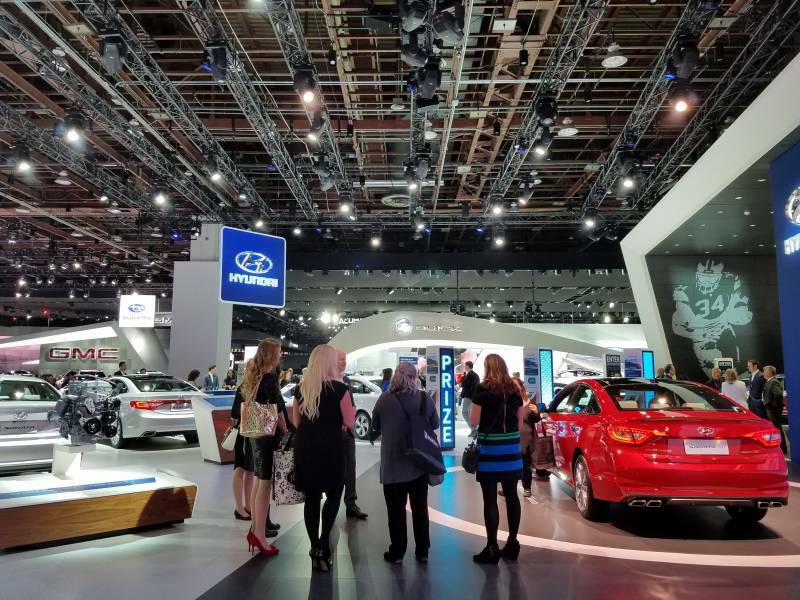 Our group was given a personal tour through the Auto Show and stopped to talk with reps from Hyundai about their exciting announcements and latest models. Going into the tour today, I knew absolutely nothing about Hyundai! Coming from a family of native Michiganders and GM employees, my family has stayed pretty close to it’s roots in the local auto industry. I was excited to broaden my horizons and learn something new. Q. Where are Hyundai cars manufactured and assembled? A. Hyundai is a Korean born car company with a large manufacturing plant here in Montgomery, AL – the AL plant provides over 3,000 US jobs. 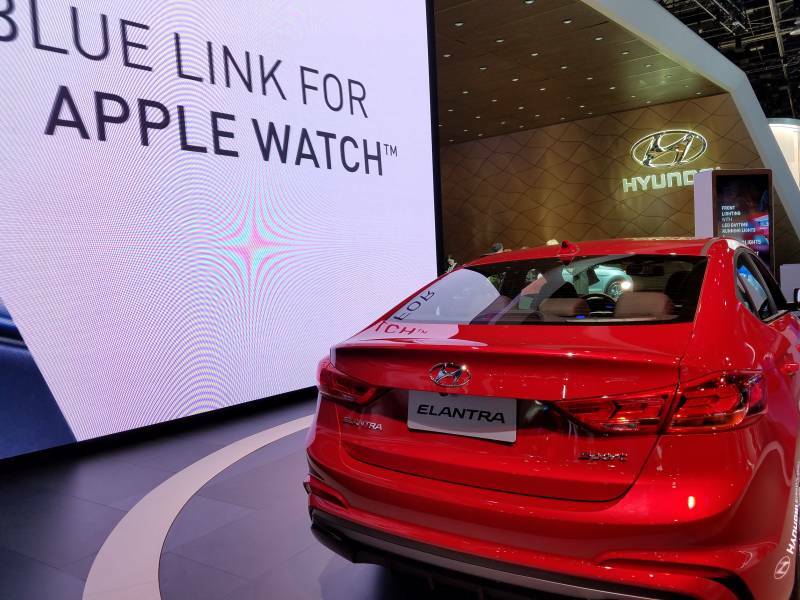 Hyundai cars come equipped with some pretty impressive technology and can get up to 40 mpg highway. 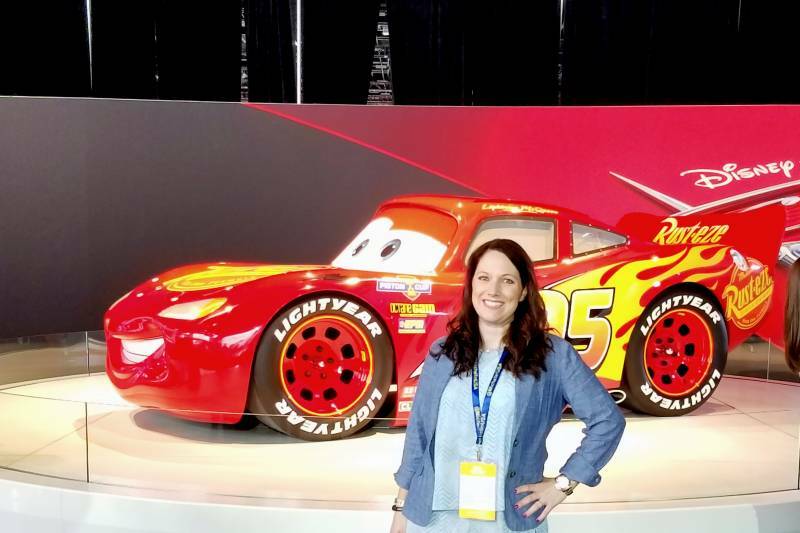 As I walked around the show floor, I stopped to inquire specifically about things that may interest kids. 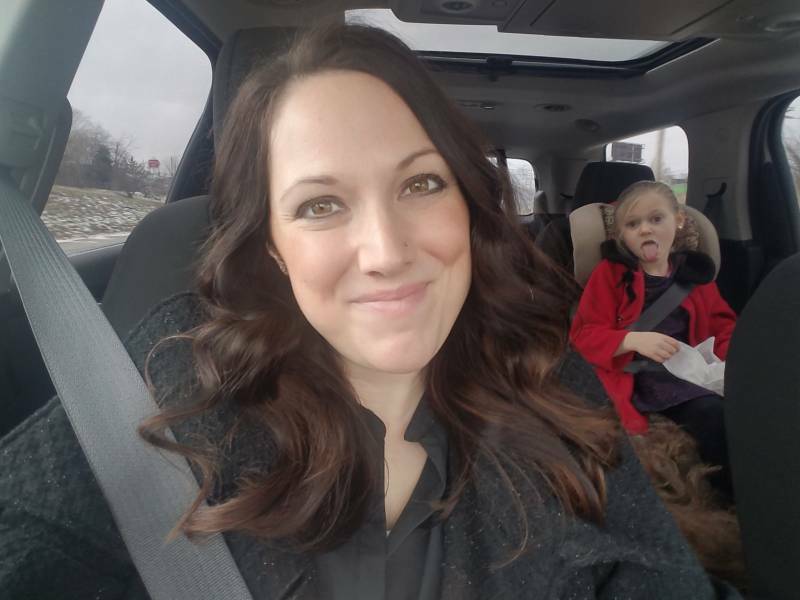 My husband and I have taken our kids to the auto show several times. The layout is different every year, but there has usually been SOMETHING specifically for kids or that appeals to them and makes it interesting. 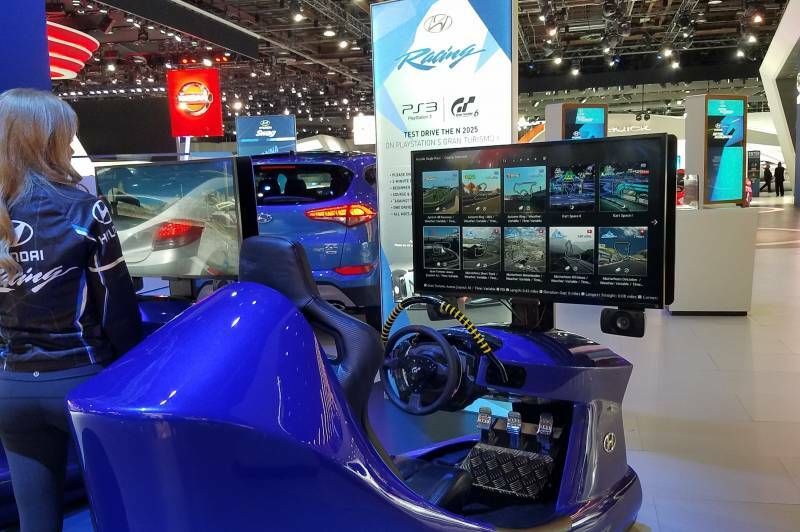 If you visit the auto show with kids, they will love the PS3 racing experience located at the Hyundai exhibit! It’s one of the many interactive displays located throughout the show this year. 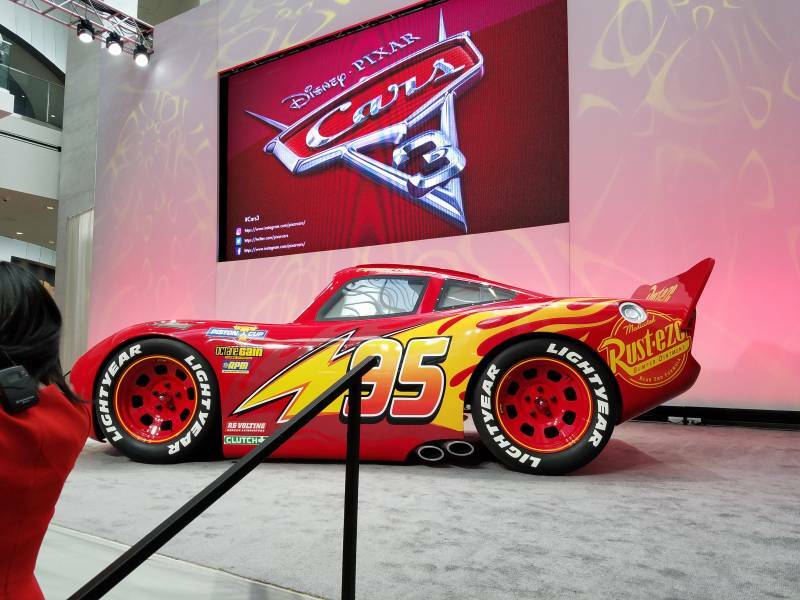 I had the privilege of seeing a top secret preview of the new movie, “Cars 3” by Disney Pixar. 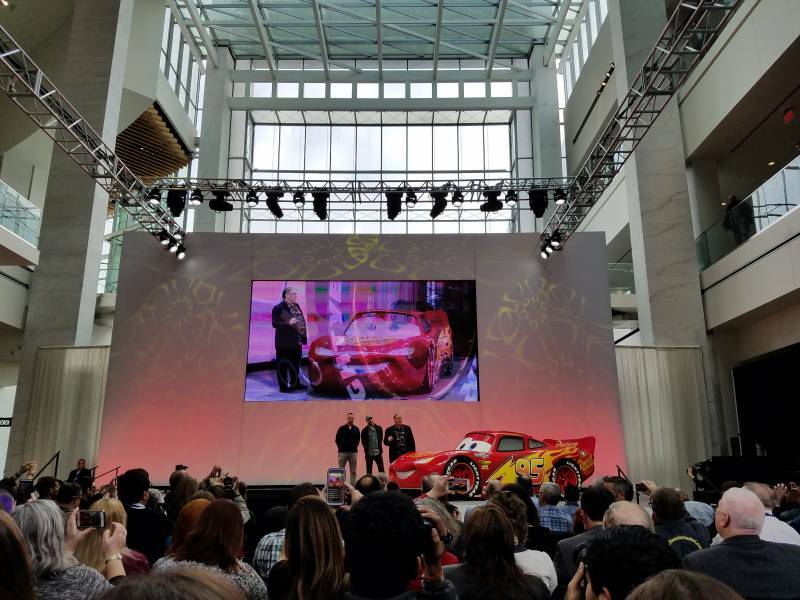 During the preview event, we welcomed Lightning McQueen to the auto show! Lightning is hanging out in Detroit for the duration of the show. Be sure to stop in and get your picture taken with him! 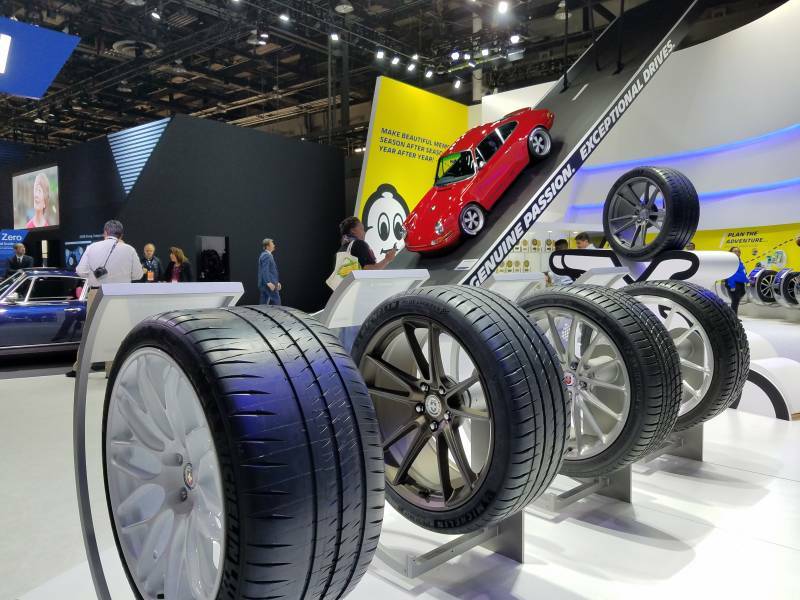 Other spots with interactive displays include the Michelin 180 experience and others. There is lots to see and do. Our kids enjoy walking around and taking in all the sights.